China has grown and grown into one of the largest and most varied markets in the world. Years of isolation and vast industrial expansion have made many markets in China ripe for American investment. As an experienced business owner, you might be interested in these opportunities. Passive income ideas can be very beneficial. You may not know where to begin though. Backing the wrong idea in a country on the other side of the world will be difficult. Additionally, the Chinese market lacks the controls and protections of its American counterpart. Failure could prove costly and dangerous. Still, there are many opportunities you could pursue in China. Below are 5 China business opportunities for Americans. A great market in China for a foreigner is education. The upper and middle classes in China are desperate to get their sons and daughter into American colleges. Applying to business school, along with any university, is stressful. A US degree can take them far farther than a Chinese one. Collage preparation begins early and parents are willing to pay a lot to make it pay off. Tutoring services of supplemental education programs online would be lucrative in this market. Additionally, education in China has few regulations, and you will not be expected to conform to a curriculum, or possess advanced degrees. The Chinese believe in the effectiveness of Western education and are prepared to spend a lot on it. As the population in China has grown richer, they have become more concerned with health care. The Chinese medical system lacks much of Western medicines efficiency and effectiveness. As well, lax industrial regulations have literally made the air unbreathable and the water undrinkable in most cities. This creates a major market for all sorts of healthcare products. Whether you wish to invest in new drugs, or air purification, or even in the new private hospitals that cater to rich people and foreigners in major cities you can make plenty of money. For decades the Chinese ignored healthcare to build up their society. Now you can take advantage of this to make some real money. You can build yourself a niche in the tech sector in China through mobile phones. There’s a reason why technology-based services such as telemarketing services are still available. Mobile technology dominates how the Chinese use computers. The Chinese use phones for everything from doing business to paying street vendors. Their culture really skipped traditional computers and went straight to mobile. Additionally, there is more room for competition, because there are no big carriers that dominate the market. This creates a competitive market where the best phone at the lowest price can really come out ahead. Providing Chinese tours of America could be a great business. As the Chinese middle class has grown, they have begun to travel for vacations. Many are now looking internationally, since domestic tourist attractions are becoming swamped. The trick is the Chinese need a lot of help when traveling abroad. Many struggle to understand foreign customs, or even speak English. They also struggle acquiring all the forms needed to leave China and enter America. If you could provide them with an American experience that made allowances for the cultural disconnect, you could be a success. Another strong market right now is handling importing and exporting for Chinese companies. Due to international events, it is harder then ever to move goods between China and the US. The Chinese government regularly invents new import/export rules and may change them without warning. Even major companies on both sides need experienced foreign brokers to move their goods. If you build you connections and take time to understand the laws on both sides, you could easily serve that purpose. There are many good business opportunities for American in China today. You could help prepare young Chinese people to apply to American colleges. You can join the healthcare market and help protect the Chinese from their lack of services. The mobile phone market is very competitive and wide open. Offering the Chinese international tourism options can create a strong business. You can even exploit current tensions to become an import/export expert. 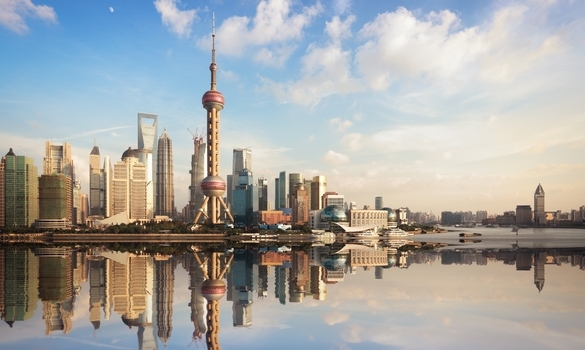 China is an exciting frontier for business owners. All you have to do is have a good idea and a plane ticket.